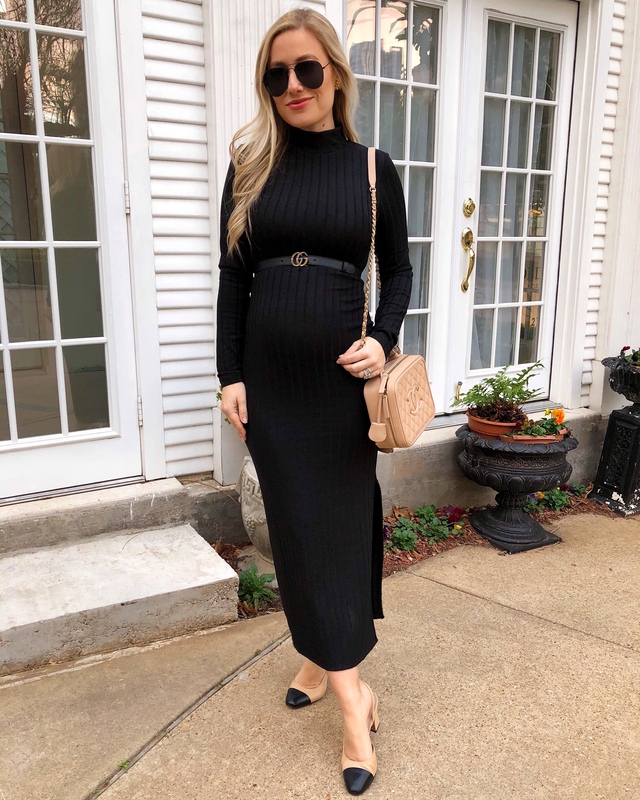 I was so excited to recently discover this dress from Topshop for under $50! It is so comfy and flattering, with or without a bump. I realized after wearing it that I also own it in the cream version. While it is the same dress, the tan version is even softer – I basically lived in it over the holiday break. The best thing about dresses like this one are the endless ways you can accessorize and style them, making it different for every wear. Today, I threw on a skinny belt and little slides with simple stud earrings to keep things simple and neutral. Super cute and easy look! Love anything that you can dress up or down!! Love a good closet staple that doesn’t break the bank-and it looks great on you!